So here’s something new on my blog – an interview. I’d love to say lots and lots about the sister I’ve interviewed and I’m hoping from reading her interview, you will too, fall in love with her zeal, passion and determination to do something, specifically in relation to your Islamic studies. I’d love to introduce my Usthadha as the modern day superwoman 🙂 because that’s how I see her. Alhamdhulillah. But most importantly through this interview I’d like other sisters to be motivated and inspired by her. I’d like others to see that although very difficult, women who are mothers, wives, sisters and daughters can also gain Islamic knowledge. Nasima Umm Hamza, I call her my Usthada, because she very kindly allows a group of us sisters to recite to her through recordings, she then gives us feedback. This is how I “met’ her and have since learnt more about her. Sister Nasima, is a mother of three boys, holds a degree from Queen Mary University in Pharmaceutical Chemistry, is a qualified teacher, and has recently graduated with distinction in her Licence in Islamic Scholarship (Alimiyyah) from Shaykh Akram Nadwi. (Told you, she’s superwoman)! 1. You recently graduated with a distinction in Licence in Islamic Scholarship (Alimiyyah) from Shaykh Akram Nadwi. Tell us how it all began. Why did you choose this course? How long was it for? Alhamdulillah, the start of my journey actually began with motherhood, when I had my first child. Although I had studied some basic tajweed beforemarriage, I got married while I was at uni and the pressures of juggling married life, living with in-laws and full time studies meant that I was unable to give dedicated time to tajweed. After having my son, I began to feel the need once more to better myself and my knowledge so that I could do the best for my children. So I took up tajweed lessons again and soon after that Allah paved a way for me to learn Arabic, first in the UK and soon after that my family and I travelled to Egypt to study Arabic more intensively there. We returned to the UK because I was heavily pregnant with my second child but continued in our studies with our Ustadh onlin. Although my husband and I both had the desire to continue learning, we were very busy in the period after our return from Egypt because after the birth of my second son, I fell pregnant again soon after that with my third child. Just a couple of weeks after the birth of my third child, my husband decided to enroll on the Alimiyyah programme with Shaykh Akram, and he began encouraging me to enroll with me as well. 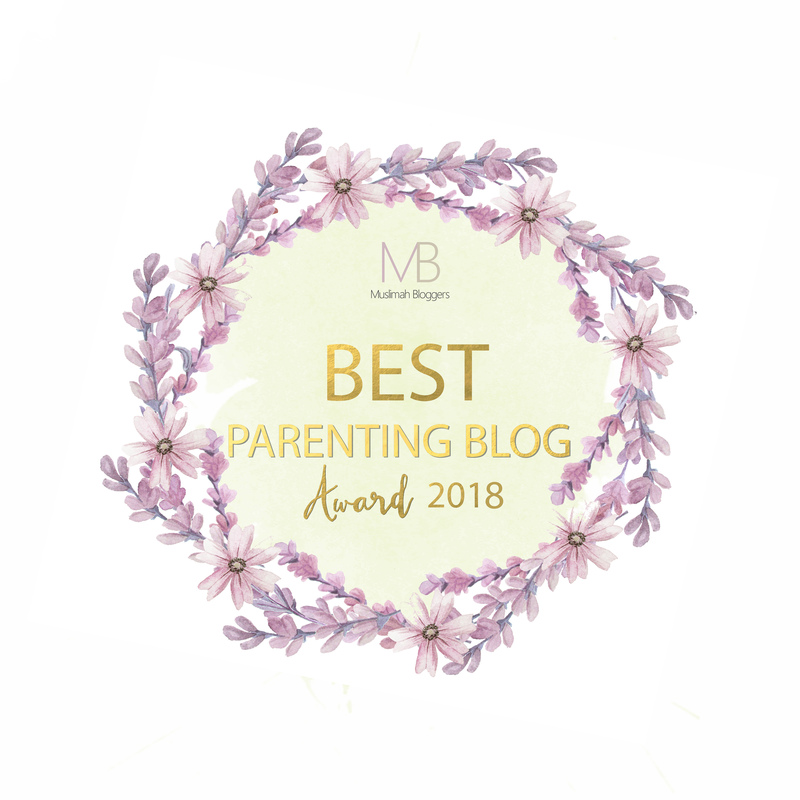 As you can imagine, having a newborn and an 11-month-old baby too, I did not feel very enthusiastic about starting such a demanding and time-consuming responsibility! But my husband managed to convince me that although it would be a struggle, I could manage the babies and the studies at the same time. Although at the time I couldn’t imagine how I would get through it, I am so grateful to my husband for convincing me, always encouraging me and supporting me through all the struggles. So, my husband and I both enrolled onto the Alimiyyah programme two years ago, going directly onto the advanced level of a six year programme, due to meeting the prerequisites of study, and we both passed the exams and graduated recently. 2. You’re a mother of 3 Alhamdhulillah. How did you manage your studies around the kids? Most mothers would love to know where you got the time and energy? Like any mother, I constantly feel like time is running away from me, and I never have enough time in my day! I had fixed times and days for lessons and studies, which meant that I knew that all other chores and house work needed to be fitted around that. So I would think of studies as the main part of the day and then I would plan what things needed to be done outside of that time and just work towards them. Of course there were some things that I would just not be able to get done in the day, but I had to always prioritise the import things (eg feeding and clothing kids, school runs) and let some things slide or be put down to be done the next day. Having said that, I feel that Allah puts barakah in your time when you give your time up for studying and learning about His Deen. Even now I feel my days are jam packed, and I think that it was only by the barakah in time Allah gave me, that I managed everything. 3. Did you, at any point want to give up? What kept you going? How did you deal with challenges? Although there were times where I couldn’t do it anymore/wouldn’t pass, there wasn’t ever a time where I felt like giving up. Times of difficulty are always a time to renew intention and to remind ourselves that we are doing something for the sake of Allah, and this is what I found always helped me, as well as making lots of dua. 4. Is the alimiyyah course for anyone and everyone? Who is it not for? Alhamdulillah, the Alimiyyah programme is suitable for anyone who has the desire and motivation to learn about Allah’s Deen and is willing to work hard for it. The course starts at a foundation level and starts with learning Arabic language, for those who don’t know Arabic, and also there are intermediate and advanced levels for those who have done some studies before. The only people who the course would not be suitable for are those people who cannot read or write any Arabic at all. They would need to learn to read/write first and this is usually covered in level one tajweed courses. 5. Who/what is your no.1 motivation? I believe that the first and foremost motivation for anyone should be the knowledge itself. When I realize I have learned something and understand it, or when I see a change in my shaksiyyah (personality) and how I deal with tests in my life in a better way, then I first thank Allah for his blessings and mercy, and I feel even more motivation to gain beneficial knowledge. I also find that reminding yourself of the evidences related to seeking knowledge and the rewards in it are a great motivation and reminder for me. In terms of people, I found a lot of support and motivating words from my husband MashaAllah. At times when I was finding things difficult or struggling he would always encourage me to try hard. 6. Most mothers feel like there just aren’t enough hours in the day to get things done, let alone sit down and do some serious studying. How did you juggle it all? Having some sort of routine or timetable helps. Also accepting that you will have to be more lenient with some things or delay some things. Also I felt as though Allah gives more barakah in your time when you are seeking knowledge for His Sake. 7. For all the sisters out there, who feel like motherhood has taken away their dreams, how would you encourage us to take those steps and find what we want to do? I think a lot of it is to do with actually just having the courage and taking those first steps to learn. After a slight adjustment period things will get easier inshaAllah. As mothers and wives, we feel like we already have so much on our plate to manage, but we also have the advantage of already having the experience of managing many things at the same time, so we just have to think of it as another thing to add to the list. Alhamdulillah, there are many courses available that make provisions for sisters and mothers. There are many online courses and ones with crèche facilities, so it’s about doing the research and finding something suitable to your reality and needs. 8. What would you like to do now? Where do you see your studies taking you? The Alimiyyah is definitely not the end point, I feel like I have just reached the starting point of the great ocean of Islamic knowledge that is out there. I am continuing to study and take courses which I can learn from, but without the pressure of having formal exams looming in front of me. One of the purposes of learning is to pass whatever knowledge you have gained on to others, and I hope to benefit others though my learning. I am active in daw’ah work and I give classes and run workshops for sisters in our community. I am also an Islamic Studies teacher in an Islamic school. My greatest objective has been to be able to teach my children and give them the correct understanding of Islam, so I also teach my son at home. 9. This question is a personal one from me – how realistic is it for non-Arab speakers to study the Quranic language and not feel lost in the rich and powerful language that Arabic is? We can get some understanding of the Quran from the tafseer and Quran translations, but to really gain a deep understanding and feel the emotions being used and the poetic nature of some of the ayat, we need to learn Arabic and get a feel of the language and its styles. Just as we can’t read a translation of a piece of literature in another language and get a real feel of the structure and emotions being portrayed in it, we cannot truly understand the Quran without the Arabic. This is why it is so important for everyone to take some steps towards learning Arabic, even if it is just the smallest step. 10. Tell us briefly what a normal day in Umm Hamza’s life looked liked whilst you were studying? The days varied depending on weekdays/weekends. But generally the whole of Sunday was dedicated to Alimiyyah lessons and studies. During the week we would usually have private lessons with our Ustadh in the mornings or other studies. In the lead up to final exams things got a lot more intense as we caught up on notes and revision. I arranged it so that my two little ones would nap at the same time in the late morning, so while they napped I could get on with studying. Also after the kids were in bed, I found that I could study or revise more intensively because there were no distractions like I would have in the daytime with the kids. I would usually do the household chores and cook after morning lessons, and try to cook extra on some days so that the food would last to the next day. I also had school runs and my older son’s Islamic studies to manage when he got home. My husband and I take it in turns to teach him on different days and some of the days we have given him independent tasks to do so that take some responsibility over his learning too. 11. What advice do you have for women in general and mothers in particular, who are keen on gaining knowledge and pursuing their passions yet are overcome by household responsibilities or other setbacks? First of all we must make our intention firm to learn for His sake only, and ask Allah to help and make a way for us to learn his Deen. Nothing is possible without the Will of Allah, and Allah is the one who can open a way for us, and in a manner that we could never perceive. Secondly, we should be realistic about our reality and what we think we can fit in, but at the same time we have to be willing to push ourselves to achieve some goals. We cannot achieve anything if we are not willing to put effort into it and nurture it. For example if you know that you have only a couple of hours available in the week, then you can go for a short course, or if you can’t get out of the house due to no help with childcare, then you can enroll on an online course. These days there are even classes available on Youtube or on the Internet for free, so there aren’t really any barriers to learning, except for the barriers we place in front of ourselves. 12. Tell us something about motherhood? How do you think we should approach it, living in the West and trying to provide an Islamic environment for our children? The family structure and bond is one of the most important factors in a child’s life. We have to create a stable, safe and loving home environment, where our children have a haven away from the problems that society is facing. We are role models for our children so we must ensure that we are the best role models that we can be for them. We need to show them that Islam has all the answers to life’s problems. I also believe that our children need to see us as the parents putting effort to learn the Deen and help others, so they know that we not only urge them in their tarbiyah, but we also have these high expectaions for ourselves the parents. We should therefore take them to the mosques and to Islamic circles regularly. Most importantly, we need to build a strong bond with our children where they can always come to us with their problems, especially as they grow into adolescence. Living in the West, we can be sure that our children will come across many unislamic things, and therefore it is even more important that the home life is an Islamic home life where Islam takes the center of our actions and emotions, where our children can learn how to be the best Muslims and so that they can learn to deal all the problems they may face in adulthood and the correct solutions to them. 13. And lastly, why is it so important for women to actively take part in learning about Islam? Tell us how you see your studies impacting your role within your home, your community and your personal development. As women we are responsible for the teaching and upbringing of the next generation of the Ummah. This is why it is so important that we ourselves have the correct tools and knowledge, so that we can build it in our children, and ensure the correct Islamic personality is developed in them. If we don’t learn Islam ourselves and take this responsibility, then we will have no control over what our children learn and society will become the bigger teacher over them. Also, as women, our influence spreads over many more people than just our children. Our husbands who are the most closest being to us, are affected by our attitudes and behavior too, so by building our Islamic personality by gaining knowledge of Islam, we can ensure there is more happiness and tranquility in the married life as well. Similarly, as Muslim women, our behavior and personality has an affect on all those around us whether they are family members, or those in the community. So we all want to be the best possible Muslimah and slave of Allah that we can be, meeting Allah on yawmul qiyaamah in a manner where He will be pleased with us, due to us struggling to learn and implement His Deen within our own selves, in our family lives, in our community and in the society as a whole. JazakAllah khair to sister Nasima for answering the question with so much thought and detail. Might I add, that she was so efficient with getting it back to me :-). Sisters, I hope after reading this, you too can have a think about what you’d like to do and how you’d love to learn more about our beautiful Deen, through which we can gain greater closeness to Allah. And if by any chance, you’ve read this, and you’re a brother, then, please do help, support and motivate the women in your lives. Sisters are capable of doing great things, but having supportive male family members helps us that much more. I make dua Allah puts more baraqah into sister Nasima’s life and studies and blesses her family with a great status here and an even greater status in the life to come. Ameen. You can follow sister Nasima on her journey on Facebook. Like and share her page inshaAllah.